Oh the excitement in our house when a big box of brand new trash pack toys arrived! Do you want to see what new products are on the shelves. My son has long loved trashpacks toys and was delighted to receive these and what a wonderful collection ! From John Adams there was a science game and trashies families card game which are both loads of fun! plus a trash pack rucksack from trademark collections and a lovely green t-shirt with trashpacks on from Fashions UK. How fabulous. 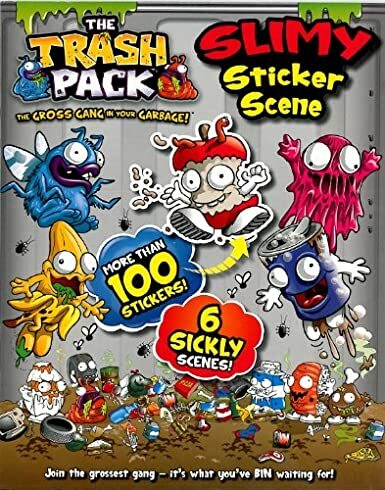 So some exciting new trash pack toys and products all on the lovely, mucky, slimy trash pack theme. How can I get something like this for my son?